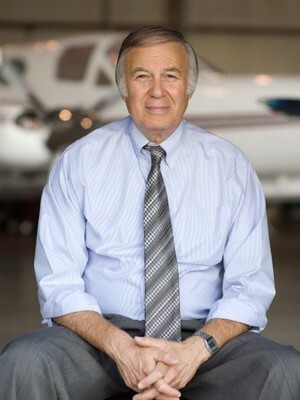 Richard A. Greene has been involved in all aspects of aviation for more than 50 years, which includes over thirty thousand hours of flight experience in many types of aircraft ranging from Piper Cubs and Cessna 172’s to Boeing 707’s, and 727’s, DC 8’s,and Airbus A-300’s. He is an FAA Designated Pilot Examiner, retired American Airlines captain, FAA Safety Team Representative and President of Century Air, Inc.
With a desire to offer the consumer a first-class training opportunity, Richard Greene opened the doors of Century Air in 1975. Over the years, he has built Century into the premier training facility and educational environment that he believes flight training should be.